Another hall-mark of ‘the CPTM way’ is the unique approach to addressing complex development problems by open Dialogue with all stakeholders without prejudging the solutions.The CPTM Smart Partnership Movement is a network with professionals and leaders in government, labour, business, research and civil society who are not formally members of CPTM that can provide members with access to the highest levels of advice and experience. The Smart Partnership Movement came into being through the initiatives of the original Smart Partner leaders of the emerging economies in the Commonwealth. 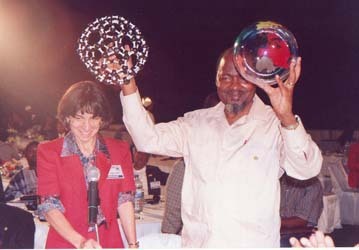 Tun Dr Mahathir bin Mohamad, then Prime Minister of Malaysia, together with a number of African leaders such as HE Sir Ketumile Masire, former President of Botswana, HE Joaquim Alberto Chissano, former President of Mozambique, HE Dr Sam Nujoma, former President of Namibia, HE Yoweri Kaguta Museveni, President of Uganda articulated the aims of the Movement..
Smart Partnership practices have since been integrated into the fabric of inclusive development. Issues and challenges are being approached in the Smart Way: ‘prosper-thy-neighbour’ and a ‘win-win-win outcome’..
Smart Partnerships are based on a shared, long term vision, both articulated and implicitly understood. They are government initiated, but private sector led, founded on a sense of community, ethical commitment and strong personal relations.“Limitless Opportunities through Smart Partnership” – The Manifesto – in 1998 encapsulates the spirit, values & ideas for a Smart Partnership delivery. In 1995 CPM organised the first International Smart Partnership Dialogue on the island of Langkawi in Malaysia. The event was designed to explore the mechanisms that underpin public/private sector partnerships. Over the years the global Dialogues have developed into significant events in their own right and become valued forums for leaders in government, business and labour to explore complex matters of common interest to emerging economies, and as places where views can be exchanged in an open and informal atmosphere. The Dialogues are usually held annually either in Malaysia or Africa, and bring together hundreds of participants from all over the Commonwealth and beyond. 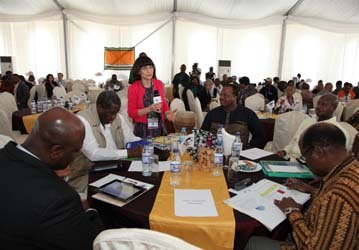 The dialogue sessions embrace a wide range of issues, but are brought together around one or more strategic concerns shared between developing countries. Over the years CPTM has cultivated the art of Networking for bringing together the expertise of a wide range of professionals from all over the world. An important application is in the so-called country activities, in which CPTM members in a specific country are involved in development issues, such as advising government or businesses on the problems and opportunities of emerging technologies or participating in the creation of a country vision. The unique quality that CPTM can bring to the table is the capability to look at an issue from a wide range of perspectives by experienced professionals. Two features make the advice of these professionals in particular valuable. They are or have been practitioners with hands-on experience and they give their advice for free without commercial interests of own agendas. Few consultants can claim such an open and unbiased approach..